Busy nite! Loads of Kinect coverage. Nice work Team Kotaku. My 7-year-old son Mini-Bash is in first grade, which means he's learning kanji. All first graders are required to learn certain characters each year. 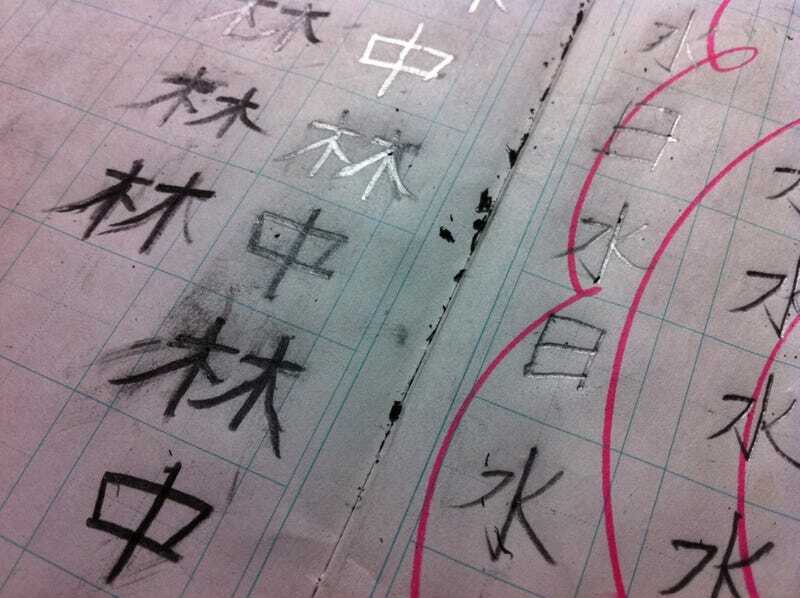 Kanji are the Chinese characters used in Japanese. They are used in combination with hiragana and katakana characters. Mini-Bash says he likes learning kanji. Says its fun!